I have a whole list of products that aren't new, but that I've been eyeing up for a while and really wanted in my collection. These are pretty much always mid-range to higher end products, because like a lot of people I do need to be mindful of my spending and makeup spending is pretty much where all of my extra budget goes. 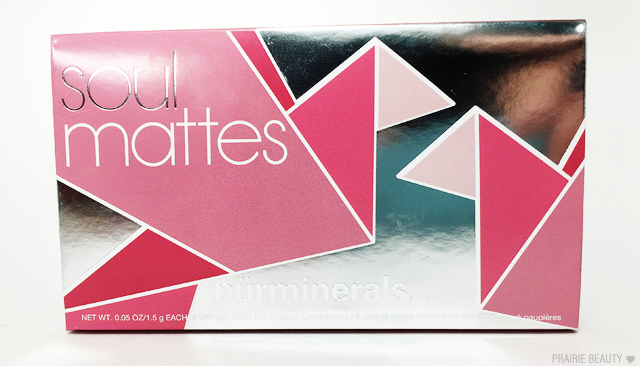 Anyway, I've had my eye on the PÜR Cosmetics Soul Mattes Palette for a while now and I finally decided that I needed to inject it into my collection during a trip to my favorite Shoppers Drug Mart Beauty Boutique recently. 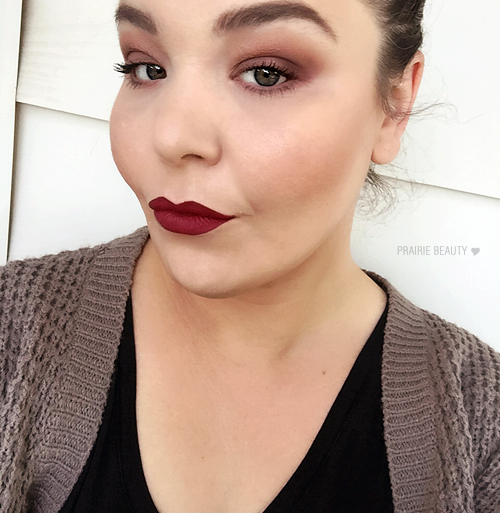 I felt like this was the perfect time of year to do it, because I really like mattes in the fall and these sorts of plum and mauve shades are what I tend to gravitate as the weather starts to get a little cooler. Wanna know if it lived up to my hopes? Keep reading! 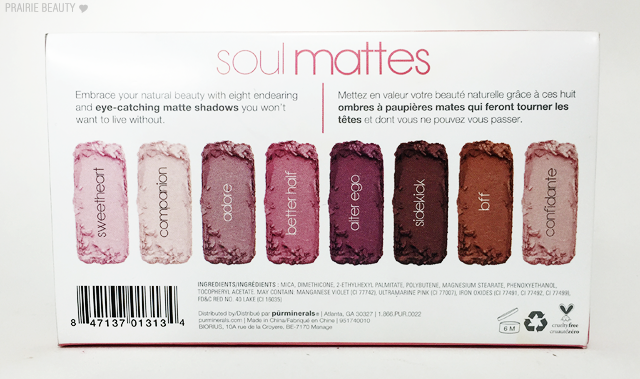 Embrace your natural beauty with eight endearing and eye-catching matte shadows fit for any mood or occasion. 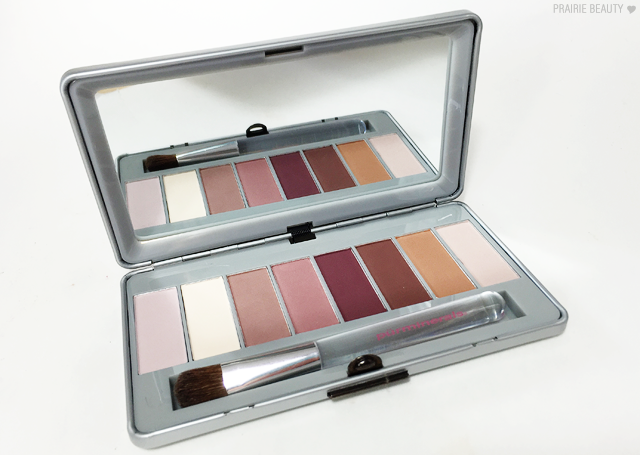 Housed in a chic, metal compact with an application brush included, this grab-and-go matte eye shadow palette is your secret to a soulful fall look. As you can see from the above photo, the shade selection in this palette is pretty much perfect - Well, as far as I'm concerned, anyway. 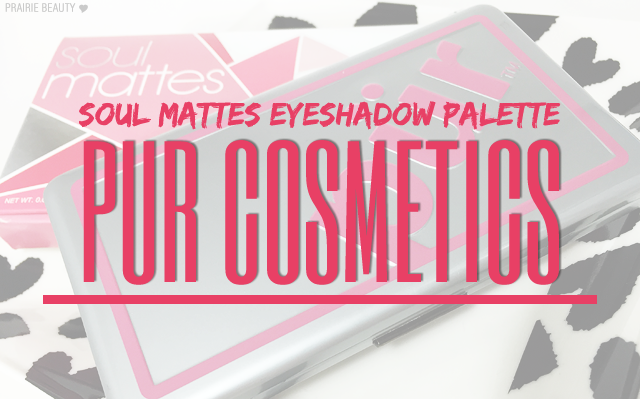 You have your matte highlights, your midtone crease and transition shades, as well as your deeper defining shades. For me, these are the things that every curated eyeshadow palette needs and I really like that this palette hits all of those marks without any shades that are too similar to each other. Another thing that I like about this palette is that there are 3 shades in the neutral brown family as well as a really universal cream shade in Companion, so you do have a little bit more versatility with the palette if you don't always want to be plum or mauve toned looks. Admittedly, I'm a little bit on the fence when it comes to the packaging.I think it's nicely put together packaging and you can tell that it's not cheap and flimsy, but I personally find it a little bit bulky and it annoys me that the lid doesn't stand up on its own. The mirror is good quality and the lid snaps firmly closed but opens easily by pressing the tab, which are both plusses in my book. Overall, I'm just kind of Meh on the packaging. Know what I mean? That said... How pretty is the box? Swoon! Everytime I've swatched these shadows I've been really struck by both the texture and pigmentation of them. They're smooth and creamy, but when swatched you can tell that they really cling to the skin so you're not going to find yourself with disappearing shadow by the end of the day. They also pack a lot of punch, particularly the shades Alter Ego and Sidekick, which easily give depth to a look without having to spend too much time building. 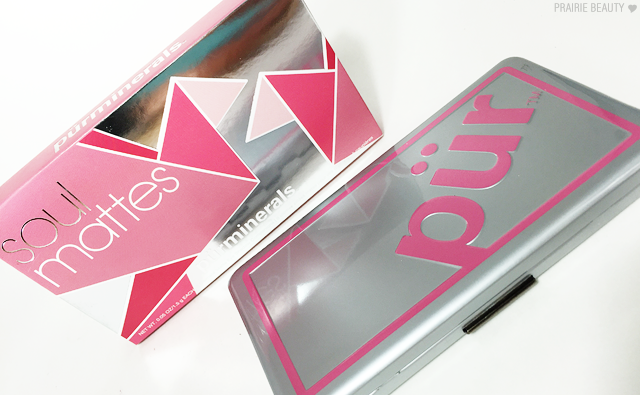 For me, what I look for in a matte palette is twofold. First, I want it to be able to stand alone and create multiple different eye looks without having to bring in anything else. I think that the shade selection on this definitely does that because you can get really soft looks, really smoky looks, and looks in both the berry/mauve family as well as the very neutral warm brown category. The second thing I look for is how it'll work as a compliment to other shadows, particularly the shimmery or metallic singles in my collection, and again I think this does a good job in that regard as well because you have light, medium and deep shades in this palette so you can apply a shimmery or metallic shade to the lid and use mattes in the crease, outer V, and brow bone all from this palette. Performance wise, I'm very impressed with these shadows. I do think you have to be careful to tap your brush off, because they are very pigmented and I find that if I apply too much shadow it can be a little bit difficult to blend, but if I build it slowly I can still get an intensity of pigmentation with a really smooth blend. For the lid, I think these pack on really easily to give a lot of punch, even for a matte shadow. I did this entire eye look, which I think is really perfect for fall, using this palette. It was actually really quite simple and I think anyone could do this look without any trouble. I started with Better Half as my transition shade all really blown out through and just above the crease. Next I used Alter Ego all over the lid for a soft smoky look and then I deepened up the crease and outer corner just a bit with Sidekick. I added a little bit of bff above the crease for some added warmth and then used Companion to highlight my brow bone and really make sure that everything was blown out with soft edges. Finally, I smoked out a little bit of Alter Ego along my lower lash line lightly for a little bit of definition. Overall, I think this is a really great palette for someone who likes mauve/berry toned shades, likes matte shades, or is looking for a companion palette for more shimmery shades in this shade range. 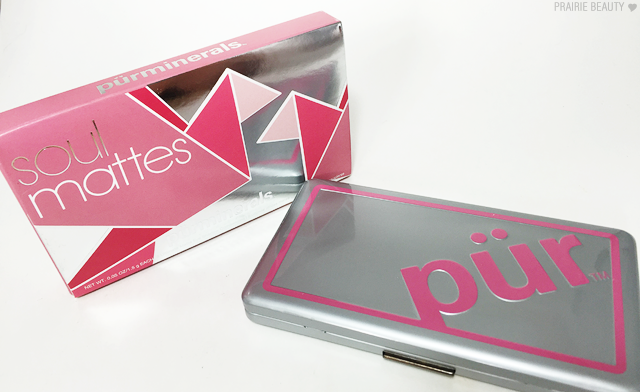 I think the quality is very, very good and really have no complaints about the palette. I'm really glad I bought it and I know I'll get a lot of use out of it, especially in these cooler months when these types of shades are really in my wheel house!